The Veterinary Services Department (DVS) has debunked the wrong information that has gone viral about 7,000 to 8,000 cows being infected by tuberculosis and culled. 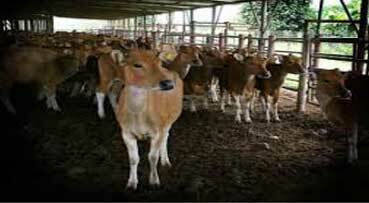 The department said that only 11 cows which were infected by the disease were culled this year. 68 cows were put down in 2016 and 57 were culled last year. "Based on a census by Selangor DVS in 2016, there were 5,775 dairy cows in the state.As such, the people should not be worried about the milk and beef produced. They are safe for consumption," it said in a statement here.